At Apple's special event on Tuesday, CEO Tim Cook revealed that the company is looking to ship its 700 millionth iOS device by next month. As with many Apple events, Cook started things off with some statistics and a brief look at the company's health. 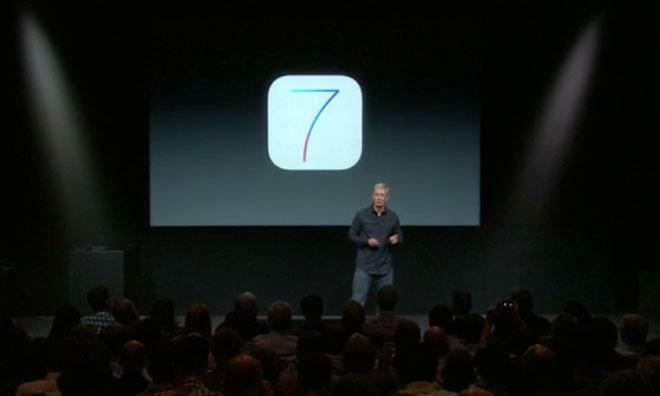 With device sales, he expects the 700 millionth iOS device to be shipped by October, possibly sooner. Cook noted that the total number of iOS devices sold will make the forthcoming iOS 7 the most popular operating system in the world virtually overnight. By comparison, Google's Android mobile operating system hit one billion total activations some time in the last month or so. That number included 100 million additional activations since the last time Google announced such figures. So far, Google's Android store has logged more than 48 billion app installs since launch. Android's device activation advantage over Apple stems largely from the licensing model Google adopted with the operating system. That model allows a wide range of manufacturers to generate Android-powered devices with an even wider range of price points and form factors. Despite the wealth of manufacturers, the very nature of Android means that the operating system is largely fragmented with a two-year old version of the OS only just recently having moved out of the number one spot in overall Android installations.